Family therapy is a second career for me. For 20 years, I was a professional performer, during which time I was a regular at standup comedy clubs in New York City. Many of the skills I learned as a performer have proven readily transferable to therapy, but one skill set in particular has been most helpful: the skill of using humor to defuse tension, create alliance, and challenge what we often call resistance in difficult clients. As a beginning therapist, I discovered that I had no idea how to go about challenging difficult clients without getting angry and defensive myself. I eventually realized that what I’d learned the hard way on comedy stages was actually the key to succeeding with these clients. With the use of thoughtfully applied humor, we can help our clients go from here to there—from crying about their cut finger to seeing a cut finger for what it is—then we can create the movement necessary for growth. And this is what they come to us for, even if they don’t know it. That was the case with Daniel, a hard-charging attorney, who’d just moved to the Midwest from Los Angeles. He came to see me because of ongoing conflict with his teenaged daughter, Maya. His wife had died years before, leaving him a single dad with a toddler. At one time, the father–daughter relationship had been quite close. But now, with the move to a new town, things appeared to be falling apart, and he’d come for help. “Well, I don’t even really know where to start,” he said in my office, looking grim. “It’s just so incredibly frustrating. We used to talk all the time! But now it’s like I’ve been shut out completely. It doesn’t seem to matter how or what I ask her about her day. She just mumbles something and tries to escape as soon as possible. And she’s being really disrespectful to me,” Daniel added. He cut me off. “Why are you asking about that?” he snorted. “It’s not me: it’s her. She’s incredibly disrespectful. I need you to get her to stop. That’s what I’m here for.” He leaned back, folded his arms across his chest, and glared at me. We sat and looked at each other for a few moments. A thought occurred to me: Am I actually being heckled in my own office? “That’s a good thing,” I said, and smiled. Even though he complained about it, Daniel always wanted to have the floor and was unwilling to share it. This bullying behavior on his part was a big part of the reason for the relational stress between him and Maya. He clearly had good intentions, but getting him to change his behavior was going to be tricky. 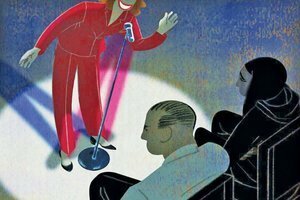 This may seem counterintuitive, but you can do well as a comedian if an audience doesn’t actually like you. What matters is whether what you’re doing is working. The same goes for therapy: getting to the heart of the work is more important than a client’s liking you, because, in the end, it’s not about you. Of course, joining with the client is important, but it’s always possible that no matter what you do, the client won’t be happy with you. On the flip side, sometimes we might not like our clients, but we stick it out because we have faith in a turnaround—which I hoped for in the next session as Daniel and Maya came in, looking furious with each other. It was time for school, and I was going to be late for my meeting. Even though I told her four times it was time to get up, she still wouldn’t, so I had to drag her out of bed by her ankles,” Daniel explained. “You actually dragged her out of bed?” I asked in astonishment. Maya shot her dad an angry look. “I was so tired this morning because I couldn’t get to sleep at all last night! I can’t believe you actually dragged me out of bed. I hate you,” she screamed. At this point, knowing what I do about teenagers and hormones and sleep cycles, I thought it’d be helpful to do some psychoeducation. And it didn’t matter if Daniel liked me less because of it. I had to press on. “You and your theories,” Daniel scoffed. Me and my theories?! I tried not to yell at him. I was frustrated, and to manage this, I breathed in. And then I breathed out. And then I asked him calmly just exactly what he expected me to do. They both reluctantly agreed to this plan, but left grumpier than when they had come—and liking me even less. That I was sure of. “Maya, how do things seem to be going from where you sit?” I asked. Maya leaned toward him, somewhat astonished. “Yeah, I know, Dad. I know how much you love me.” And then she teared up as well. “I would totally agree with that.” I said. They both smiled. This was a good moment for them, to feel connected after the rocky times they’d been through. I’m not quite sure if I really “closed strong,” as all good stand-ups are supposed to do. But for this particular family, I think this is what success looked like at the time: just being able to actually talk to one another, not as often as Daniel would’ve liked, but more than they’d been doing before. And as Daniel backed off on giving his daughter advice, she began to talk to him more. This cheered him up and helped them feel closer during this rocky stretch of her adolescence, when she needed space and respect from her father. In the end, though, my real discovery was that when things got rocky in the therapy room, the rules of comedy proved invaluable—and they just don’t teach that in grad school. This blog is excerpted from "Managing Hecklers in the Therapy Room," by Kirsten Lind Seal. The full version is available in the May/June 2016 issue, Unexpected Gifts: Six Master Therapists Recall Their Most Unforgettable Sessions. Read more FREE articles like this on Challenging Clients & Treatment Populations. I would not continue to pay a therapist who had this authoritative and condescending approach to clients. I disagree with Sam Popper. To deal with this particular client system (especially with an attorney father) it was absolutely necessary to be clearly in charge (ie "authoritative") and not flustered by the father's bravado. We also do not have the advantage of her facial expression and tone of voice. I did not experience her as condescending, but shaping her response to this client system. And, as presented, the tactics worked.